Much is written about China and the role of the Chinese Communist Party, but without exploring in detail the nature of the party and how it operates. This book provides an in-depth assessment of the current state of the Chinese Communist Party. It outlines the huge size of the party – 88 million members with 4.3 million organizations at the grassroots level. It sets out how the party has developed over time, how the party is organized and how its ideology is formed and transmitted. 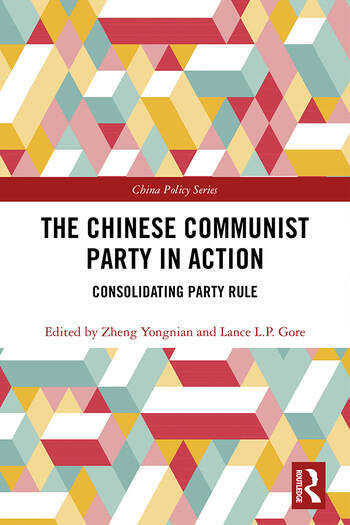 It discusses how the party acts in the different areas of China’s economy, society and government, at local, regional and national levels. It explores the party’s role in the formation of policy, including foreign policy, and assesses the impact of different factions and of the current anti-corruption campaign. Overall, the book demonstrates how embedded the Communist Party is in all aspects of Chinese economy, society and politics, and how its position continues to be consolidated.